Democrats lost the 2016 election in a big way. Not only did they lose the presidency, they lost House and Senate seats, governorships, and state legislatures across the country. Since that election, the public and the pundits have been wondering: How did this happen? There are a lot of ways to answer that question, but part of the blame must fall on gerrymandering. 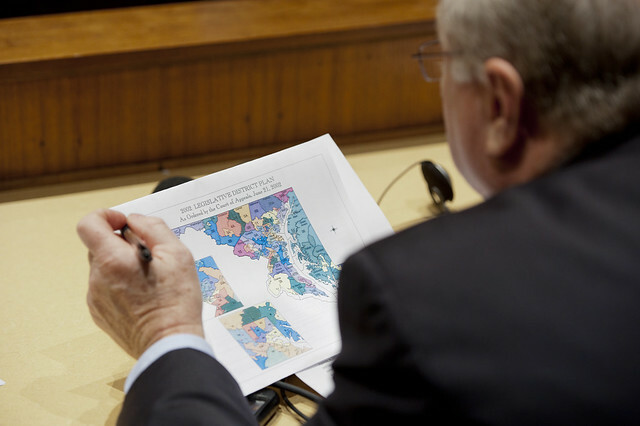 Every ten years, new census results in hand, states redraw the boundaries of their political districts. These districts elect state and local representatives for themselves, and their votes are tallied in groups for larger elections. Ever since Patrick Henry first tried to deny James Madison a Congressional seat, it has been the practice of politicians to draw districts that favor their own parties. After their significant loss in 2008, Republicans have been winning local elections and drawing boundaries that help them keep a hold on power. Former Attorney General Eric Holder and soon-to-be-former President Barack Obama plan to fight back. It’s difficult to legally challenge gerrymandering; by itself, drawing boundaries advantageous to one political party is not illegal. In fact, Ohio’s Supreme Court ruled in 2012 the state’s constitution does “not explicitly require political neutrality, or for that matter, politically competitive districts or representational fairness, in the apportionment board’s creation of state legislative districts.” The most likely way to challenge a voting district is on the grounds of its being racially discriminatory, like the Alabama district drawn for Senator Quinton Ross in 2010. Therefore, the best way to fight for more favorable districts is to try to win local elections so the two opposing parties are more equally represented on the committees that draw district boundaries. That’s what Republicans did in 2010. As famed strategist Karl Rove said, “He who controls redistricting can control Congress.” Republicans flipped enough state seats in swing states to draw Congressional districts that were heavily Republican; Tea Party candidates, previously unelectable in balanced districts, “were running in districts that are so safely Republican, the only real competition in an election is among Republican candidates during the primary.” In several states, Democrats got more than half of the popular vote but less than half of the seats. “Gerrymandering” is one of those words that sometimes make people snore, but its practice and consequences are extremely relevant to nonprofits. First of all, state governments make decisions that influence the ability of nonprofits to balance their budgets. As NPQ pointed out in an earlier article, states decide whether to exempt nonprofits from sales, property, and other taxes, as well as which nonprofits qualify for exemption. In fact, Massachusetts’s state legislature is currently considering levying property taxes on certain nonprofits. Especially for smaller nonprofits whose budgets can be broken by the imposition of an unexpected tax, it matters who sits in the state house. State legislatures approve budgets, which means financing for things like human and social services, schools, parks, and other public goods. Nonprofits working in tandem with these organizations, or picking up the slack in the services they provide, have an active interest in legislators who recognize the value of funding community programs, and governing bodies who can compromise well enough to pass legislation to do so. In a broader sense, nonprofits benefit, like everyone else, from competitive elections. More moderate candidates mean a better chance of compromise and, perhaps, some actual governing. More debates about policy mean more chances to highlight the importance of causes like healthcare, minimum wages, and social justice.